In We Happy Few, gamers have been wondering how to cure Food Poisoning. Getting Food Poisoning is almost inevitable, as safe food is not commonly available in We Happy Few. Because eating is essential to your survival, you’ll likely end up scarfing down some rotten food. This is fine in small quantities, but the more you eat, the sicker you’ll get. When you have Food Poisoning in We Happy Few, your health deteriorates which and you suffer from status effects that make progressing through the game harder. To help, we put together a quick guide on how to cure Food Poisoning in We Happy Few! 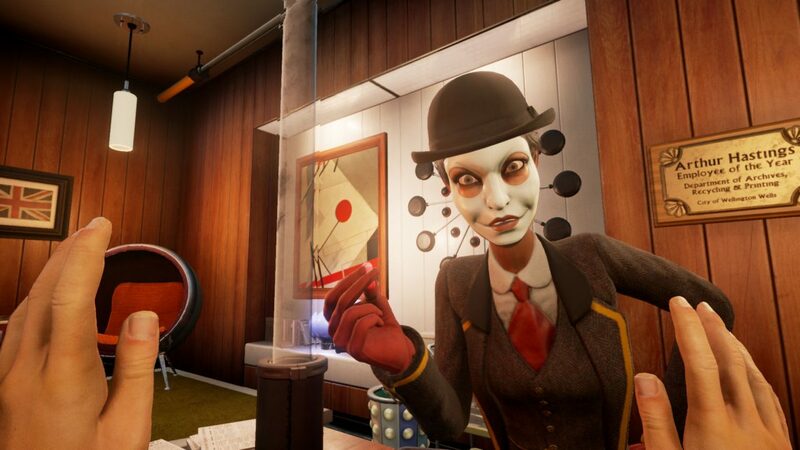 You'll need to craft Sick Up Tea to cure Food Poisoning in We Happy Few. In We Happy Few, Food Poisoning occurs when players eat rotten food. Food Poison can range in severity from moderate to severe depending on how much rotten food the player ingests. Additionally, Food Poisoning causes status effects that result in dizziness, blurry vision, and vomiting. When you begin vomiting, your Hunger Meter starts to deplete, causing a reduction in Stamina. Essentially, it’s a pretty nasty situation in We Happy Few that needs to be addressed and treated as soon as possible. To cure Food Poisoning in We Happy Few, you’ll need to craft an item called Sick Up Tea. By crafting and ingesting Sick Up Tea, you’ll be able to cure Food Poisoning and remove all status effects caused by Food Poisoning. Items like Empty Pill Bottles and Charcoal can be scavenged, although the Night Blooming Nonsuch can be harder to acquire as it only blooms at night. Exploring at night can be dangerous, so keep an eye out for glowing pink flowers in order to make collecting Night Blooming Nonsuch at night easier, thereby reducing the amount of time you’re out and about. Note that ingesting Sick Up Tea will cause you to vomit pretty violently. This can deplete your entire Hunger Meter, so be sure to have safe foods on hand to replenish your Hunger Meter. Additionally, you can craft and store Sick Up Tea in your inventory should you find yourself in a situation where rotten food is the only type of food available as, again, eating rotten food causes Food Poisoning in We Happy Few. Now that you know how to craft Sick Up Tea, you should be prepared to deal with instance of Food Poisoning in We Happy Few. By reading through this guide, you should now know how to cure Food Poisoning by crafting Sick Up Tea in We Happy Few.